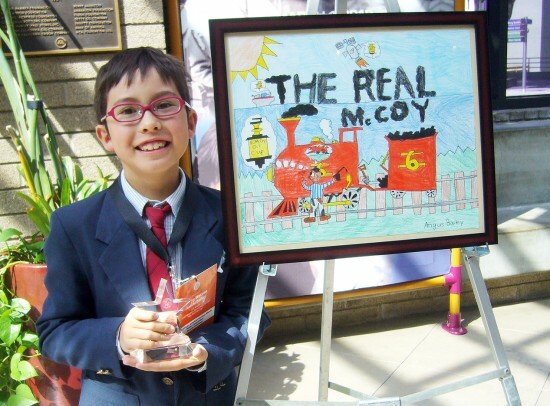 Angus Watson Seiichi Bailey, a third-grader at Kester Magnet Elementary School in Sherman Oaks, was recently honored at Los Angeles City Hall for his poster depicting Elijah McCoy, an African American who invented a self-oiling mechanism for locomotives. Bailey came in second place in a citywide contest held for African American Heritage Month. He also placed second in his division (K-2) in the 2009 Asian and Pacific Islander American Heritage Month poster competition and was a winner of a Rafu Shimpo coloring contest.